If you have sought treatment for back or neck pain, your physio has probably discussed the implications of prolonged sitting at a desk. 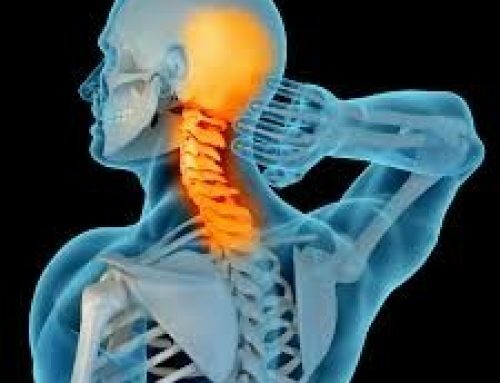 As well as the stress on the structures of your spine that we as physios refer to, read the article below that refers to other health risks of too much sitting…. It seems that every week a new article appears alerting us to the health risks of too much sitting. Some have referred to sitting as being the ‘new smoking of our generation’. Most recently, while spruiking the virtues of the recently released Apple Watch, Apple CEO Tim Cook controversially referred to sitting as the ‘new cancer’ – but quite simply, the real problem is that too much sitting is contributing to many of the chronic health conditions that affect large numbers of Australians. So what is the evidence linking sitting to health risks? Reviews of the literature have found evidence for increased risk of premature mortality (early than expected death), type 2 diabetes, some cancers and heart disease amongst those with high levels of sitting (1, 2). Importantly, regular moderate-vigorous physical activity (ie: meeting the minimal recommendation of 30 minutes per day) may not be enough to counter the adverse effects of too much sitting (2). Compared with standing or moving around, sitting leads to a reduction in muscle contraction and blood flow, particularly in the lower limbs. This is thought to reduce the body’s ability to effectively regulate sugars and fats in the bloodstream, which is considered to be a possible mechanism behind some of the negative health effects observed. Long periods of prolonged sitting appear to be particularly detrimental for these metabolic processes. Taking regular breaks from prolonged sitting throughout the day may be a simple, but important way to reduce this risk. Research from Baker IDI Heart and Diabetes Institute has shown that breaking up sitting every 20-30 minutes with 2 minutes of light walking leads to beneficial reductions in blood glucose levels, compared with uninterrupted sitting (3). Sitting breaks may also lead to reduced fatigue, greater concentration and fewer musculoskeletal problems (4), which is particularly relevant to the workplace environment. We know that changes in the way we live – greater dependency on technology, long commutes and other social and environmental changes – have led to us spending more time sedentary, and less time in incidental activity (moving around). For those with desk-based jobs, it can be quite easy to spend the majority of waking hours sitting down. Having greater awareness of the amount of time spent sitting is an important first step to reducing sedentary behaviour. Try to estimate how much time you spent sitting on a typical day in the past week. It may surprise you! The good news is that there are many low or no cost strategies to reduce sitting time in the workplace or the home. This includes taking the stairs rather than the lift; walking to a co-worker rather than emailing them, or getting off the chair and standing more in meetings. An increasing number of organisations are now recognising the health and wellbeing benefits to providing environments that support active movement throughout the day. It is important to remember that not all sitting is bad; the key is to break up sitting as much as possible. Sit less, stand up and move more – your body will thank you! 1. Biswas A, Oh PI, Faulkner GE, et al. Sedentary time and its association with risk for disease incidence, mortality, and hospitalization in adults: A systematic review and meta-analysis. Ann Intern Med. 2015; 162(2):123-32. 2. Dunstan DW, Howard B, Healy GN, et al. Too much sitting – A health hazard. Diabetes Res Clin Pract. 2012; 97(3):368-76. 3. Dunstan DW, Kingwell BA, Larsen R, et al. Breaking up prolonged sitting reduces postprandial glucose and insulin responses. Diabetes Care. 2012; 35(5):976-83. 4. Thorp AA, Kingwell BA, Owen N, et al. 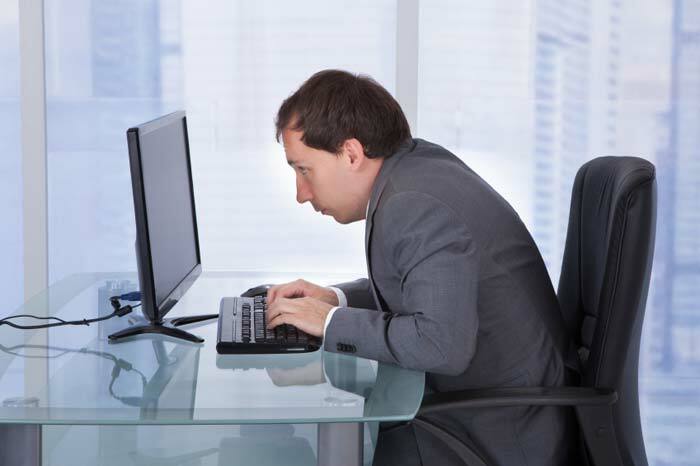 Breaking up workplace sitting time with intermittent standing bouts improves fatigue and musculoskeletal discomfort in overweight/obese office workers. Occupational and environmental medicine. 2014;71(11):765-71.